Hello, friends! 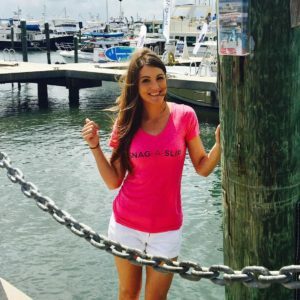 My name is Alexa and I am the marketing and promotions go-to gal for Snag-A-Slip. 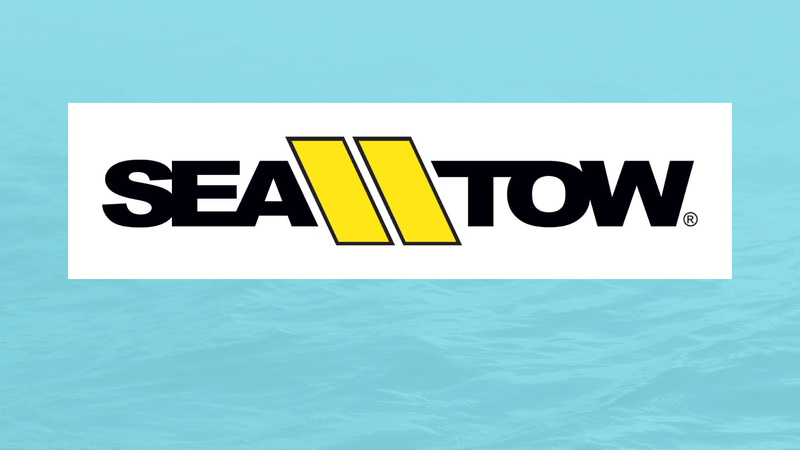 For the next year, you will find me at one of the 15 (and counting) boat shows we have on deck. As I travel around the country getting to know all of our amazing boaters and industry partners, I’ll share my stories with you here. A born and raised Maryland girl, I have spent my life swimming, boating, kayaking, paddle boarding, wake boarding and generally floating around the Chesapeake Bay. My Dad was a sailor, and I liked to refer to him as “Popeye the Sailor.” He lived in his jean cut-offs (commonly called ‘Jorts’). No shirt, no shoes? No problem. Thanks to him, I’ve felt connected to the water from a very young age. Don’t let that innocent face fool you. He’s a maniac. When I’m not in, on or around the water, you can catch me hanging at home with my zoo. 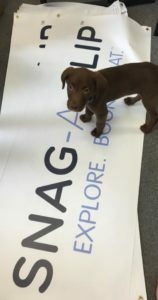 I have two crazy rescue cats and one hyper chocolate lab that I completely misnamed ‘Mello.’ From his tiny puppy days, he’s been the official mascot of Snag-A-Slip. I love yard work (weird), distance running, playing soccer and eating Mexican food. As an August baby, my idea of a perfect day is laying on a beach and watching the boats cruise up and down the river. Snag-A-Slip snagged me a few months after I graduated from the University of Maryland (GO TERPS). Then, the word on the street was that a cool start-up in technology and boating was ready to get underway. I jumped at the chance to get involved. There’s nothing better than combining a personal passion with work. Now, here I am, 2.5 years later, and I love getting up and going to work every morning. At Snag-A-Slip, we wake up and get after it every day. We always have, and we always will, seek new experiences, learn new lessons and find ways to have fun. It could not be more of an exciting ride! Please join our journey! Stay tuned for my posts as I travel the boat show circuit from Canada to the Caribbean.